Debbie Sterling, an engineer from Stanford, found few women in her university class and decided young girls needed more encouragement to experiment with engineering and innovative design concepts. Her research led to the revelation that 87% of the world’s engineers are males, and to the development of a combination storybook and toy building set designed specifically for little girls – Goldie Blox. Her original crowdfunding launch successfully reached its $150,000 target in less than 5 days (watch the launch video here: http://www.youtube.com/watch?v=y-AtZfNU3zw) and GoldieBlox is now a series. The first building set, incorporating a belt drive, is available online and at select Target and ToysRUs stores along with #2 (wheel and axle) and #3 (hinge) in the series. Thanks, Debbie, for recognizing the need to cheer on young inventors, and for tapping into young female minds with something more than pink packaging. Strong kids = Strong families = Strong nation. 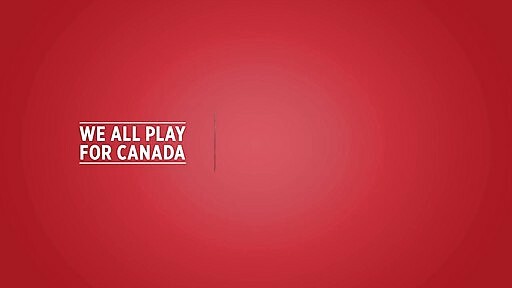 That simple but powerful mission is behind Canadian Tire’s new campaign to bring play back to childhood. It is an inspiring and welcome partnership to get youngsters active again with the help of influential athletes and players of all types. It reminds us about our longtime “passion for play” while pointing out that “play doesn’t come out to play as much anymore”. Nostalgic and iconic images of children at play are appearing on the company’s TV commercials, and supporters of the campaign are posting their own videos and photos online showing how and where Canadians play. Confidence. Creativity. Strength. These qualities, cited as goals of the campaign, are ones we can all encourage in children of all ages. “A country without strong children cannot stay strong”, says the campaign. No argument here. Driven by the message delivered in the film Miss Representation, a documentary that premiered at the 2011 Sundance Film Festival, the project is “a call-to-action campaign that seeks to empower women and girls to challenge limiting labels in order to realize their potential”. 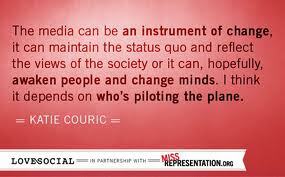 Among its goals are the eradication of gender stereotypes and the creation of lasting cultural and sociological change. The project includes an educational curriculum, film screenings, and an action agenda with options for supporting the campaign. Regular readers will know that I have talked about this topic often – the commercialization of childhood and the inappropriate (and damaging) marketing of everything under the sun to kids. More often than not the messages are highly sexualized, exploiting the very innocence that ought to be protected. Here are two resources you may find interesting. It’s nice to share other voices and reassuring to know others are ranting about this too. www.commercialalert.org: their mission is “to keep the commercial culture within its proper sphere, and to prevent it from exploiting children and subverting the higher values of family, community, environmental integrity and democracy”. Check out their Parents’ Bill of Rights and campaign to get salespeople out of schools. Our nation is in the grips of a commercial hysteria. Sometimes it seems like everything is for sale. At Commercial Alert, we stand up for the idea that some things are too important to be for sale. Not our children. Not our health. Not our minds. Not our schools. Not our values. Not the integrity of our governments. Not for sale. Period. www.commercialexploitation.org: national organization (U.S.) devoted to limiting the impact of commercial culture on children – their mission is “to reclaim childhood from corporate marketers”. Good resources and attention to diverse issues (from obesity to violence) along with clout in their advocacy efforts – they have successfully battled Disney, Scholastic Inc. (Bratz), McDonald’s and Hasbro. The commercialization of childhood is the link between many of the most serious problems facing children, and society, today. Childhood obesity, eating disorders, youth violence, sexualization, family stress, underage alcohol and tobacco use, rampant materialism, and the erosion of children’s creative play, are all exacerbated by advertising and marketing. When children adopt the values that dominate commercial culture—dependence on the things we buy for life satisfaction, a “me first” attitude, conformity, impulse buying, and unthinking brand loyalty—the health of democracy and sustainability of our planet are threatened. CCFC works for the rights of children to grow up—and the freedom for parents to raise them—without being undermined by commercial interests. CCFC is active in the Toronto area where a recent campaign helped stop the installation of digital monitors in area highschools (along with their ad content)…anyone involved with CCFC in Hamilton??? Maybe it’s the warmer weather, or the peek of colour from crocus blooms in my garden today, but I started off with such a cheery disposition…then the media barrage began. First I read that this coming Sunday, March 20th, is the first International Anti-Street Harassment Day. Apparently a day is needed to remind us that catcalls, leers, sexual innuendo and whistles (aka street harassment) are inappropriate. I would like to think offensive behaviour is just that, offensive. Should be out of bounds each and every day. Activists would likely say I’m naive. I can’t fault their efforts to educate, and I recognize that this offensive harassment is often trivialized. According to www.StopStreetHarassment.com street harassment “includes sexually explicit comments, catcalls, groping, leering, stalking and assault, and more than 80 per cent of women have encountered it”. Learning that grim statistic makes me think a day set aside to expose the offenders isn’t such a bad idea (sad, but necessary). Yes, it started out as a nice (almost spring) day. But it has turned out to be a sad day to be a girl.